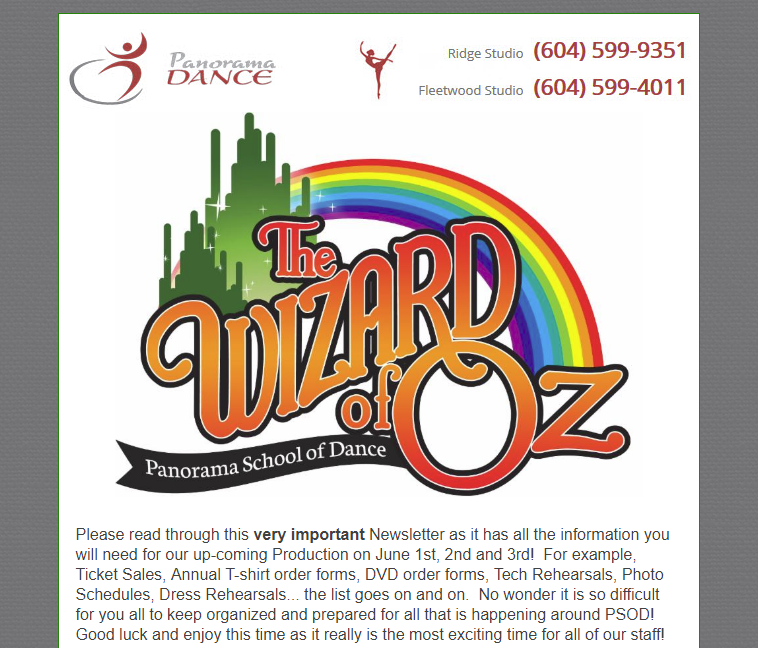 Panorama School of Dance is committed to both ensuring that our families are well informed about upcoming events and news related to our programs. 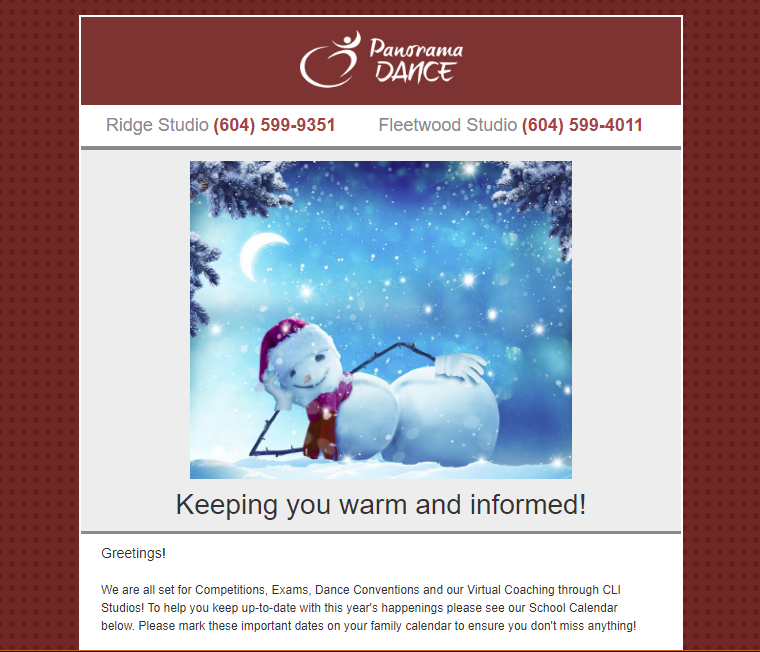 You can see an archive of all our newsletters on this page. 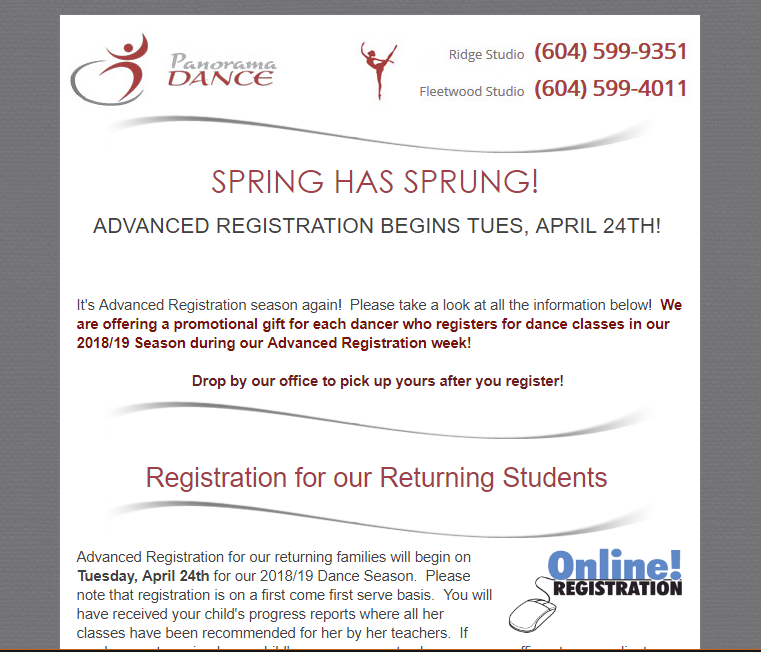 In an effort to ensure that all of our families receive the information they need in a timely fashion, we provide email delivery of all communications. 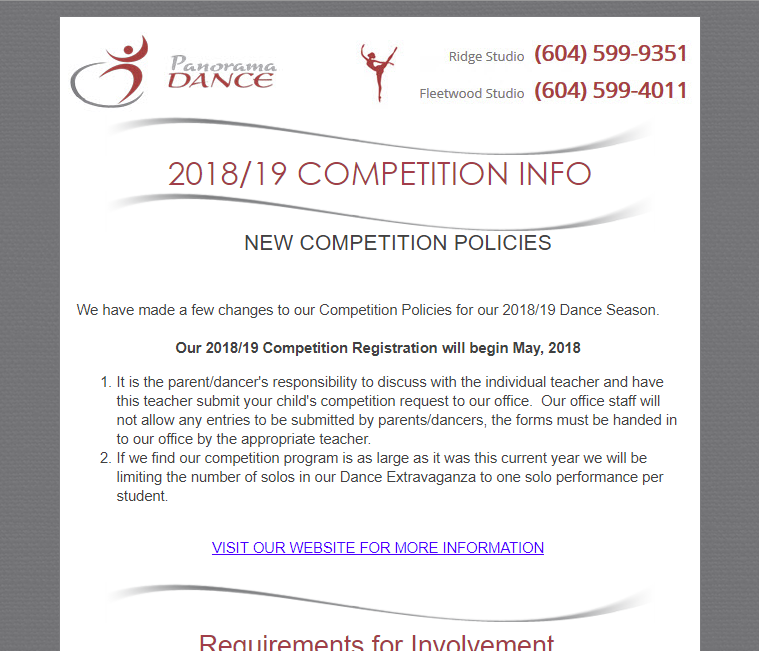 The email addresses you provide during the registration process will receive copies of any communications. 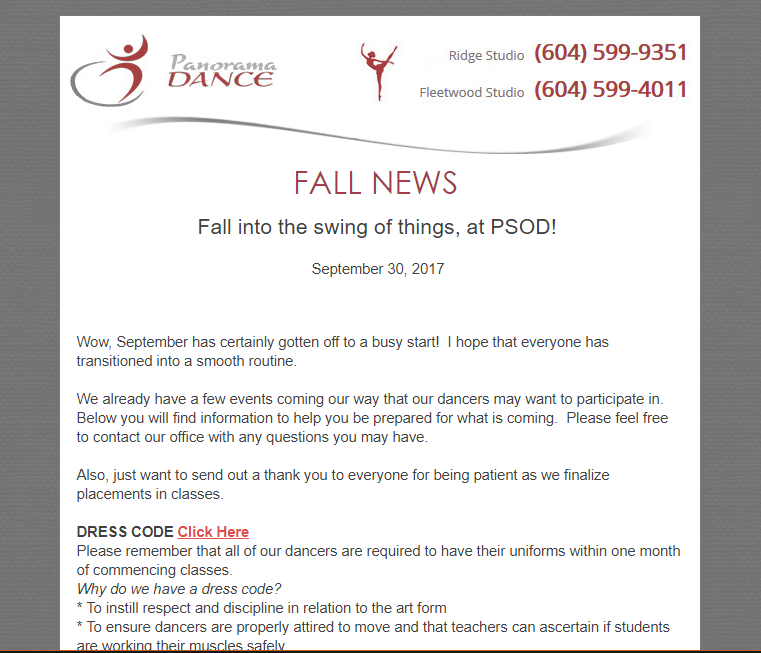 Click on an image below to read the respective newsletter.